Mumbai: In a bid to boost the public transport and infrastructure in the city, the state cabinet on Tuesday gave a nod to the Swami Samarth Nagar-Vikhroli Metro railway link. The 14.47-km route will link the eastern and western suburbs, and arterial roads like the Jogeshwari Vikhroli Link Road (JVLR), Western Express highway, S.V Road, LBS Marg and Eastern Express highway. This Mumbai Metro-6 project will connect commercial areas like Swami Samarth Nagar, L&T and SEEPZ, and the IIT at Powai through an elevated line. The cabinet also gave its nod for the 23.50-km Thane- Bhiwandi-Kalyan Metro railway which will improve connectivity to Mumbai’s extended suburbs, which have seen an exponential growth in urbanisation and population. This route, which will have 16 stations, is proposed to be completed by March 2021. 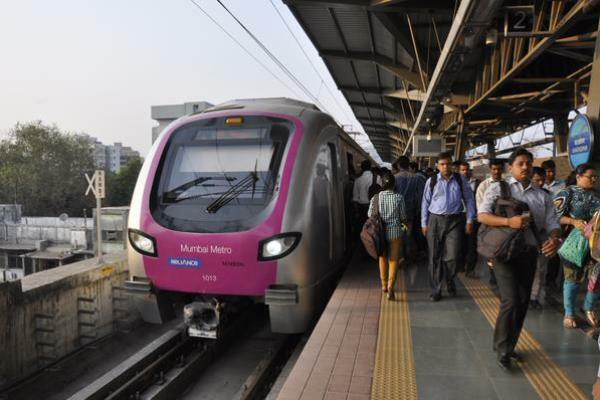 The Mumbai Metropolitan Region Development Authority (MMRDA) has given its go-ahead for the execution of 118 km of Metro Railway routes in the Mumbai Metropolitan Region (MMR). The amended plans for the Swami Samarth Nagar-Jogeshwari- Vikhroli route will connect the 18.6-km Metro 2-A route from Dahisar (East) to D N Nagar, which is approximately 33-km long. The link will benefit people from both, the eastern and western suburbs. Along with the Metro 2-A, the 6,672 crores Metro-6 corridor may be executed by the Delhi Metro Rail Corporation (DMRC) and will have 13 Metro stations designed for six-coach rolling stock. The expected daily ridership for Metro-6 (in Mumbai, or Delhi?) is anticipated to be 6.5 lakh in 2021 and 7.69 lakh in 2031. The Rs 8,416 crore Thane-Bhiwandi-Kalyan elevated metro will have an initial frequency of five minutes in 2021. The daily expected ridership for the corridor is said to be 2.29 lakh in 2021 and 3.34 lakh in 2031. Currently, the civil works are underway for three Metro corridors in the city namely Dahisar- DN Nagar Metro-2A, Dahisar East- Andheri East Metro-7 and Colaba-Bandra-Seepz Metro-3 underground corridor. The civil works on DN Nagar Metro-2B and Wadala-Thane Metro-4 corridor are also expected to start by next year.